These aren’t your mother’s fairy tales. Throughout history parents have told their children stories to help them sleep, to keep them entertained. But we’re pretty sure none of those parents had this in mind. These are the fairy tales that will give you and your children nightmares. 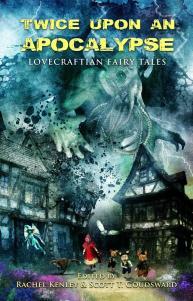 From the darkest depths of Grimm and Anderson come the immortal mash-ups with the creations of HP Lovecraft. ~ by Sumiko Saulson on July 10, 2017.